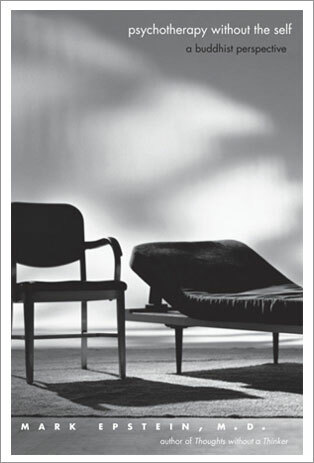 Psychotherapy Without the Self | MARK EPSTEIN, M.D. Immersed in Buddhist psychology prior to studying Western psychiatry, Dr. Mark Epstein first viewed Western therapeutic approaches through the lens of the East. This posed something of a challenge. Although both systems promise liberation through self-awareness, the central tenet of Buddha’s wisdom is the notion of no-self, while the central focus of Western psychotherapy is the self. This book, which includes writings from the past twenty-five years, wrestles with the complex relationship between Buddhism and psychotherapy and offers nuanced reflections on therapy, meditation, and psychological and spiritual development. A best-selling author and popular speaker, Epstein has long been at the forefront of the effort to introduce Buddhist psychology to the West. His unique background enables him to serve as a bridge between the two traditions, which he has found to be more compatible than at first thought. Engaging with the teachings of the Buddha as well as those of Freud and Winnicott, he offers a compelling look at desire, anger, and insight and helps reinterpret the Buddha’s Four Noble Truths and central concepts such as egolessness and emptiness in the psychoanalytic language of our time. "Psychotherapy without the Self is mandatory reading for anyone seeking to understand today's axial event in psychoanalysis–the encounter of the Freudian and subsequent schools with the Buddhist psychological tradition. Epstein's insights are utterly penetrating, brilliant in uncanny comparisons and clear critical contrasts, altogether illuminating. It is elegantly and wittily written–a real pleasure to read. And don't worry, there is a self, just different from the one that can't be found!" "An excellent introduction to and amplification of connections between Buddhism and psychotherapy and what they contribute to our understanding of the human condition. This is not just an interesting read, but a meaningful one."